So the Energy Bill is published, the lights will stay on, everything's gonna be alright ... and then EDF announce they are "delaying" once again their decision on the first of their 'promised' 4 new UK nukes. ND, do you have any idea how much DECC is estimating total CfD support costs (subsidy) for nuclear will be? My back-of-envelope calculations make it that every EDF EPR reactor built will require around £900 million/year CfD support - or £3.6 billion-ish per year for the four EPR reactors the govt claims it would like EDF to build. It looks to me like the Hitachi ABWRs Horizon want to build are very much cheaper. But we'd have to wait 3 or 4 years for them to get ONR assessment. I suspect the EDF EPR builds are toast, and the govt will pin its hopes on the Japanese ABWRs. Then we wil have, joy-oh-joy, updated Fukushima reactors in the UK! The £120/MWh does sound fairly close to the mark now that EDF have increased the Flamanville build cost estimate by a further euro 2.5bn, to euro 8.5bn (£7 bn). With Enel of Italy dropping its option on Flamanville, EDF need to find another billion of capital there - they will have fun trying to raise the capital if the UK builds do go ahead. Between shale gas (10%) and my Bristol Boating lake (5-10%) that is covered. I have always thought that the negatives of having a thing that can contaminate an area 100 miles in diameter on a relatively small island outweigh the positives. Never mind the cost (not competitive) and the long term storage issues (unknown but v.v.v. large cost). It only has to go wrong once for any reason. Nick - were you aware of this scam? Plentiful resource [unlike U], cheap power [tick], far safer than U reactors [tick], technology - there are blueprints for reactors [tick], no plutonium produced [tick], half life decay of decades not millennia [tick]! FFS, why won't they invest in Thorium reactors - the Chinese are racing ahead in development of Thorium reactors - why are the British [gov'] so weak headed? In the meantime BGS says there are 300 trillion cubic metres of shale gas in the Bowland shales. Plus 300 years of coal - ergo: tell EDF to do one. We have artificially deprived ourselves of a good power sources like coal because of the bogeyman of "carbon", caused by CAGW, caused by the proven to be bogus "hockeystick" graph. Solar panels don't work at night, windmills only work intermittently thereby requiring permanent backup. Both therefore cost an arm and a leg. That leaves only Gas and Nuclear. Gas is not currently popular with the Greenies because of "carbon" and fracking. At current prices (even £120/MWh) not having electricity is more expensive than having it. So no wonder Jonny Foreigner wants to take us for a ride. Our dim government is hoist with its own petard. Oh joy. My East Anglian "source" tells me that EDF were buttering up the locals in Sizewell recently. Apparently the same team which got permission to build in Somerset are working to get permits on the East Coast. any idea how much DECC is estimating total CfD support costs (subsidy) for nuclear will be? and the same civil servants on the nuke price 'negotiation' Budgie - We Are Stuffed. Bugger, is there a subsidy available for new boilers? I have just ordered a new one without realising! ND my nuclear industry insider seems to work extremely hard on getting these permits... or maybe the main effort is the planning permission. Not sure. ND the Enel press release is here. It says Enel will be repaid "613 million euros plus accrued interests" for its 12.5% stake - interesting that suggests, if there were no future installments, EDF valued an EPR at 4.9 billion euros when they cut the deal, though that could be distorted by the various side deals. 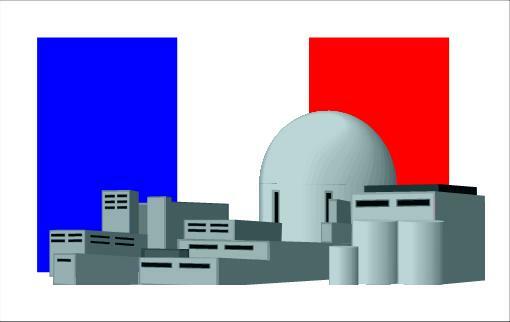 EDF originally claimed it would cost 3.3 billion euros to build. Another article here.